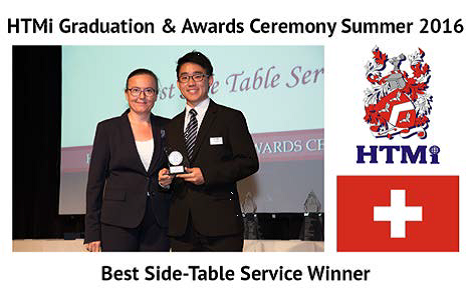 Best Side-Table Service Winner – During the service championship, Certificate and PG students are competing in a fine dining service competition. This award is given to the student who provides the best side-table service. Congratulations to our Summer 2016 Winner: Tsai Chi-Hung (Eric) from Taiwan.